Apple is not buying Netflix, and is focusing on "quality over quantity." 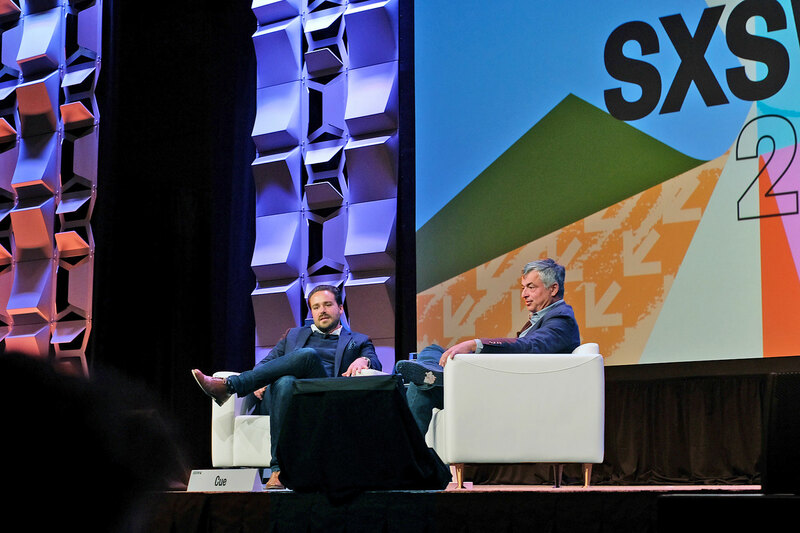 For a session about "Curation in Media," there wasn't a whole lot of talk about Apple News at Eddy Cue's SXSW panel today. Instead, moderator and CNN senior reporter Dylan Byers steered Apple's senior vice president of internet software and services through a wide range of topics, from today's acquisition of magazine platform Texture through Apple Music (it now has 38 million subscribers), free speech, live TV, health care and the company's recent foray into video content. Apple's first batch of original programming was safe and not particularly well-received. Planet of the Apps and Carpool Karaoke both closely mirrored TV formats, and perhaps represented a desire to learn about production and distribution more than they did a real effort to make hit shows. However, the past few months have seen a flurry of activity at Apple, with shows from creators like Ronald D. Moore, Damien Chazelle and M. Night Shyamalan in the works. Despite the huge investment Apple is making, Cue insists he doesn't want Apple's video offering to emulate Netflix. "We don't try to sell the most smartphones in the world, we don't try to sell the most apps; we try to make the best one. Hopefully, the other piece happens," Cue told Byers, echoing what Apple always says but no one quite believes. "We're making big investments. ... It's about finding the right ones. The way we like doing things is not to throw a hundred things against the wall and see which one's going to be good or not." Cue also said Apple is new at this, and so not everything will be a hit. "Everything should be very high-quality" though, and that's where Cue says Apple "will stand out" when compared to Netflix and Amazon. Cue also spoke about Apple's unique spot in the streaming industry. While Netflix can control its web and app offerings, Apple is the only company that has almost full control over both the hardware and software that its videos will appear on. "We'll have a few surprises," Cue said, "we think there's a real advantage in technology. ... There are ways to leverage the technology to make the viewing experience even better." The executive pointed to how its TV app handles live sports -- providing a notification when something it thinks you'll be interested in is happening, even if the game is in its last quarter. Byers repeatedly pushed Cue on why Apple, with its famously large cash reserves dwarfing the value of Netflix's entire business, wouldn't just buy one of its competitors. "Generally, in the history of Apple, we haven't made huge acquisitions," Cue said. "The reason we haven't done that is the old Gretzky quote: 'Skate to where the puck's going, not where it is.'"